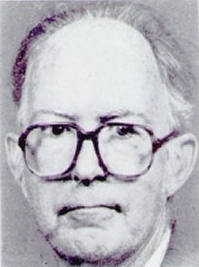 Richard K. Whitney of Boston, Massachusetts has been a driving force in the Massachusetts Prohibition Committee since 1970. He has served as co-chairman of his state convention, as a local organizer, as a state committee member, and as a national committee member, in addition to being a standard-bearer in several elections. Richard was born in 1938. He has no children and lives alone. He is a member of Park Street Church (Congregational) in Boston. He is employed by the Church and also by D.B. Kelley Security Agency. He is a graduate of the Worcester, MA public schools and of Zion Bible Institute; he has attended Berkshire Christian College. He serves on the board of directors of the Mission Hill Housing Service. While attending Berkshire Christian College in the early 1960's, Whitney realized that he should join a political party which stands for Christian principles in society. After checking out all of the parties listed in the almanac, he settled on the Prohibition Party. Richard was elected to the Massachusetts Prohibition Committee in 1971, after serving as co-chairman of the state convention in 1970. He did organizing, editing, and literature distribution for the state committee through the 1970's. He became chairman of the state committee in 1979. In 1975, Richard was appointed a national committeeman for Massachusetts. He was placed on the executive committee of the Prohibition National Committee in 1991 and served there until 1999. Whitney made his first run for public office in 1985, standing for election to District Six of Boston City Council. He obtained 964 votes, 13.56% of the total. Since then, he has run for District 15 (Suffolk) of the state legislature in 1986 (486 votes), District 15 (Suffolk) again in 1990 (989 votes), District 15 (Suffolk) again in 1992 (1331 votes), District 15 (Suffolk) again in 1994 (803 votes, 14.38% of the total), and District 15 (Suffolk) again in 1998 (663 votes, 12% of the total). His opponent at each District 15 election was an incumbent Democrat, Kevin Fitzgerald. The district is heavily Democratic. Richard hoped to run for Councilor at large of the Boston City Council in 1999, but was unable to collect enough signatures (500 needed) to get on the ballot. He now plans to run for the MA state senate in 2000. Richard K. Whitney has run for office more times than has any living Prohibition Party member other than national chairman Earl F. Dodge. He is one of our best vote-getters.